Soy is a highly contested food, especially within the vegan community. Did you know soy is one of the most studied foods in the world? There are literally thousands of peer-reviewed published studies on it. I’m here with fellow vegan registered dietitian nutritionists to answer some of the common questions we get about this legume. First, a little nutrition backgrounder. Soy is a great source of plant-based protein and is quite versatile in the kitchen. One cup of edamame (soy beans) contains 18 grams of protein, 8 grams of fiber and is an excellent source of iron, vitamin K, thiamin, and folate. 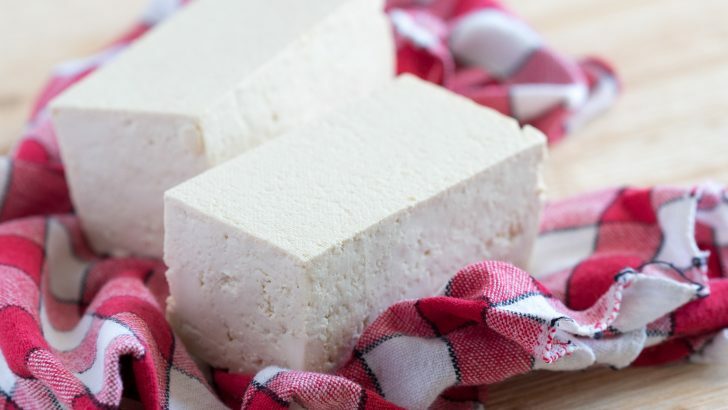 It’s also a good source of potassium, riboflavin, zinc, and vitamin A.
Soy can be processed into bean curd, or tofu, which can be a good source of calcium when prepared with calcium sulfate. It also can be fermented into foods such as tempeh and natto. More processed and refined versions of soy are used in a wide variety of foods. For purposes of this discussion, we’re focusing on whole soy, soy milk, tofu, tempeh and other fermented soy foods. Will men who eat soy experiencing “feminizing” effects? Is it OK for infants to be weaned from breast milk to soy milk? Is soy bad for the environment? For more vegan health and wellness wisdom, check out Taylor’s other World of Vegan articles and her website Whole Green Wellness. Want to learn about ditching dieting for good, honoring your body’s hunger and making peace with food? Grab Taylor’s FREE Beginner’s Guide to Eating Intuitively! Disclaimer: The information presented here is not to be construed as medical advice or used to diagnose, treat, cure or prevent any condition or disease. Photo and videos by Michelle Cehn. Taylor Wolfram, MS, RDN, LDN, is a vegan registered dietitian nutritionist who helps vegans and non-vegans alike embrace the benefits of colorful, plant-based nutrition.